Henry Ford, the great industrialist, made two failed attempts at rubber production in the Amazon, a venture to break the British rubber monopoly of the time. The first is the iconic Fordlandia, top level bucket list for urbex:ers around the world. The second is Belterra, a 40’s American midwestern town in the middle of the jungle, still today in mint condition, bright red fire hydrants, meticulously kept lawns and cheerful greetings exchanged between neighbours in shiny Ford pickups. 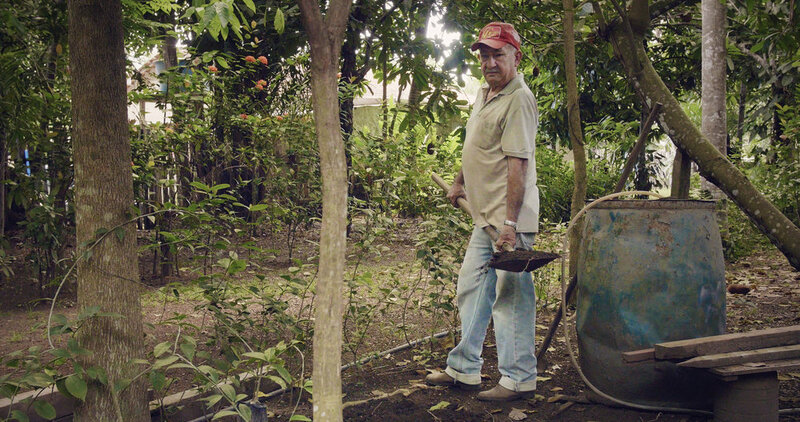 “It was order when the Americans were here, and I believe we try to keep that order”, say João Do Nascimento Rocha, born during the American era and keeping the rubber harvesting tradition alive even though natural rubber was obsoleted by its synthetic counterpart years before the plantages ever returned Ford any profit. Traces from the company town is found everywhere, the manholes still bear the Ford Motor Company logo. Belterra translates into 'pretty soil', and its very soil is the reason it is an ideal site to grow rubber trees. All across the Amazon basin traces from pre-columbian civilisations can be found in the form of Terra Pretta - ‘black soil’, a man-made mixture of charcoal, bone and manure used to fertilise the otherwise meagre soils of the jungle. This anthropogenic earth continues to regenerate itself thousands of years later, proving Francisco de Orellana right in his observation that the banks of the Amazon was densely populated when he as the first European traversed it in 1542. When more Europeans returned a few hundred years later more than 90% of the natives were already killed by western diseases, every trace of their grand terraforming project hidden under a thick layer of foliage, their wooden structures not lasting long in this wet climate, and no buildings built out of stone. What is today one of the most iconic untouched wildernesses was once a well tendered garden, the fertile traces of which still supply thousands of farmers with a living. João Do Nascimento Rocha in his garden. Plant growing in Terra Pretta, ancient man-made soil. 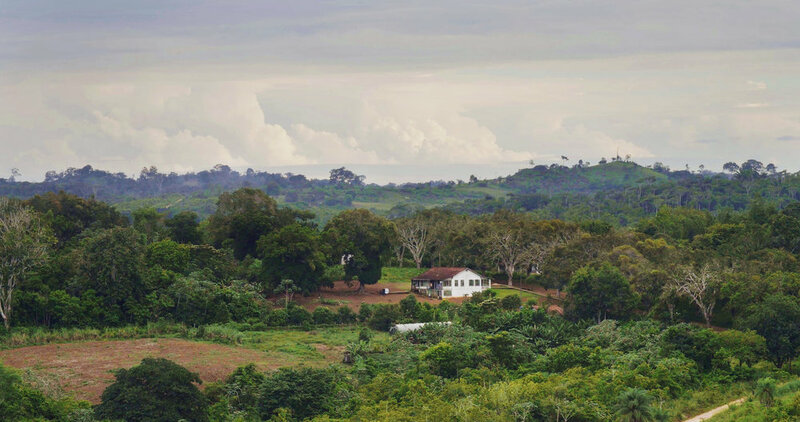 The managers villa in Fordlandia. Ford's failed rubber plantages was less of economic ventures as much as intentional communities intending to escape what he saw as the failure of benevolent capitalism in the United States. Despising the contemporary American society, with it’s unchained greed, jazz music and abandonment of traditional family values, Ford wished to start anew in a virgin place, a sacred eden where to create his perfect American society. The plants was proper company cities a la mode, including all amenities a well mannered workman might wish for, even a cinema, although it only screened films pre-approved by Ford himself. There was a ban on football, alcohol and smoking, company guards went house to house each morning to check all was clean and beds were made. Walt Disney made a documentary about the project proclaiming it a successful and logical continuation of American ideals, here consolidated in it’s ideal form. A year later the Brazilian workers got tired of American food and the intense level of control, and promptly revolted chasing the Americans into the jungle. They cut the telegraph wires and the Brazilian army was eventually deployed to halt the uprising. American 30's furniture still in use today. The remains of the once most modern hospital in Brazil. Spare parts still on the shelves in one of the factories. The canteen where the riot broke out. Today some sort of elderly home. Around 80 years later, on the day of Trumps inauguration as the next American president, I’m sitting in these misplaced American ruins reading Thomas More’s ‘Utopia’. Ford seem inspired by More, the same unquestioned confidence in the power of rules and hierarchies coupled with the same wish of starting anew, in a ‘virgin' place, with the same utter disregard of the people already living in this ‘virgin’ place. The native Amazonian tribes in Ford’s case, the Abraxians in More’s case. Misplaced they move further in the jungle, avoiding any contact with the strangers, for decades, hiding, waiting. Or, in the case of the Abraxians, further back into the mists of history, to that strange part of wikipedia where you start to doubt its factuality, or maybe rather your own. I try my best to avoid the sadness of being alone in a place I’ve dreamt to visit since I as a teenager first saw it's photos in a compilation of “coolest abandoned places ever” somewhere on the internet. I’ve had so many moments of “Woah did you see that! ?” during the past days, just to instantly realise that I’m the only one around. The old couple I live with is nice though, I have fallen into the stereotypic role of the son regardless of our complete lack of shared language. Me and the mother laugh at the snoring dad on his afternoon nap, me and the dad admire parrots in the garden, they joke about my compulsive instagramming of everything, “oh, the youth of today". The alley to the managers villas. Kids playing football by the church.